Volker Thomsen assumed his duties as President and CEO of St. Lawrence College on October 1, 2000. In September 2004 St. Lawrence College Board of Governors appointed Volker Thomsen for a second five-year term, from 2005 to 2010. Thomsen has more than 30 years experience as a successful founder, shareholder and CEO of a group of companies in the food, natural health products, pharmaceutical manufacturing and marketing sectors. 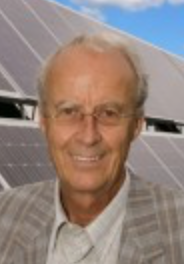 He has, furthermore, during the same period been involved in renewable energy, particularly in Denmark and East Germany. He participated in planning wind parks in conjunction with biomass reactors, enabling rural communities to combine energy in a meaningful way and be independent of outside supplies.